Canoe Pass Village - Ladner, B.C. 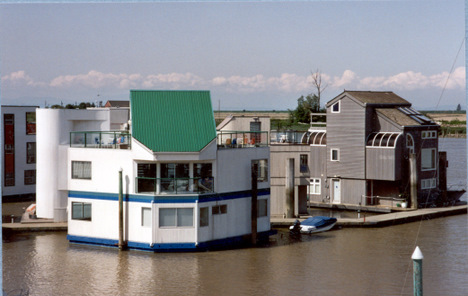 Developed and built by IMFS and was Canada's first legalized Floating Home Community. Opened in Spring of 1985. 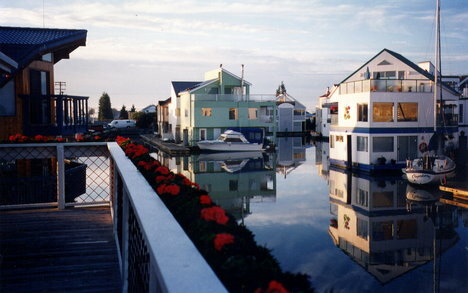 Canoe Pass Village - Ladner, B.C. 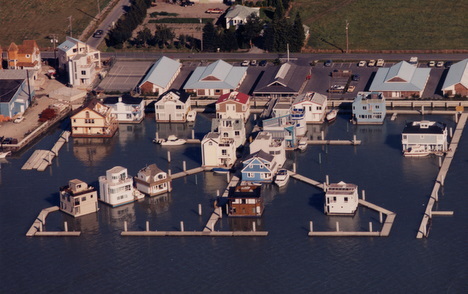 A community of 43 Floating Homes with power, water, telephone, Internet and waste water connection just like any land based neighbourhood. 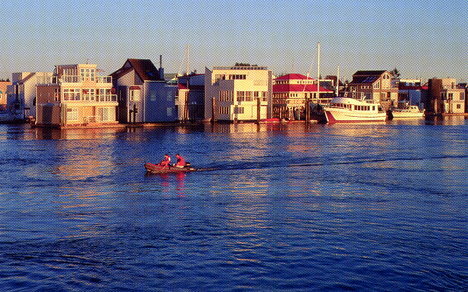 A view of some of the Floating Homes on a calm morning. 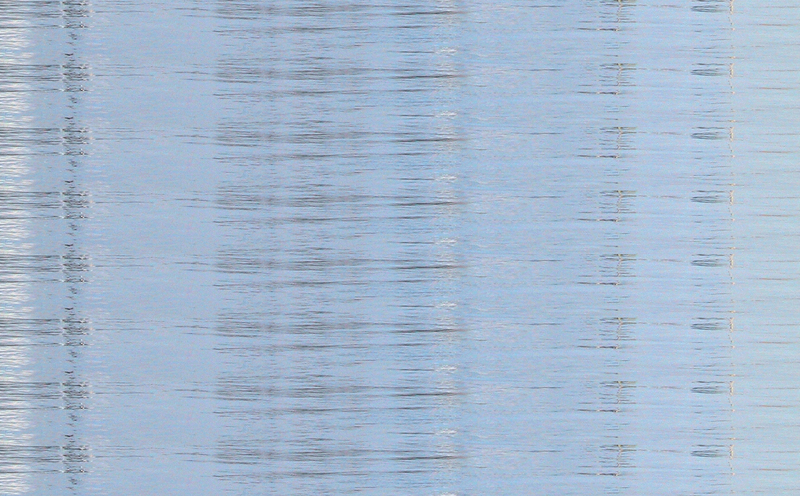 A water view of the community from a passing boat. 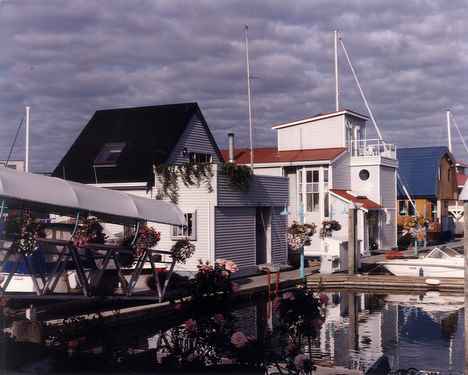 A variety of home styles and sizes make up this popular neighbourhood. 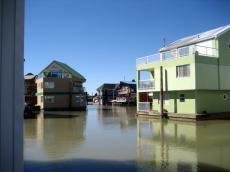 Water level view from a neighbouring floating home. 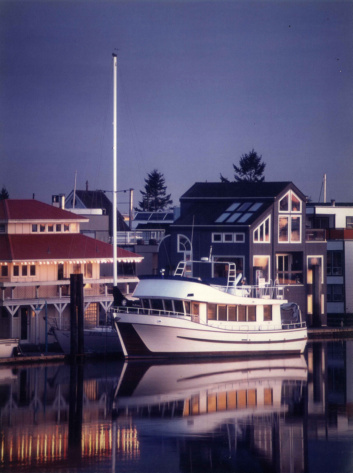 Each of the 43 floating homes in this community was custom built to meet the taste and needs of our clients. 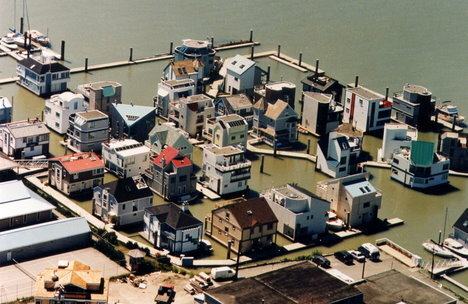 In this neighbourhood you get to park your boat next to your house.